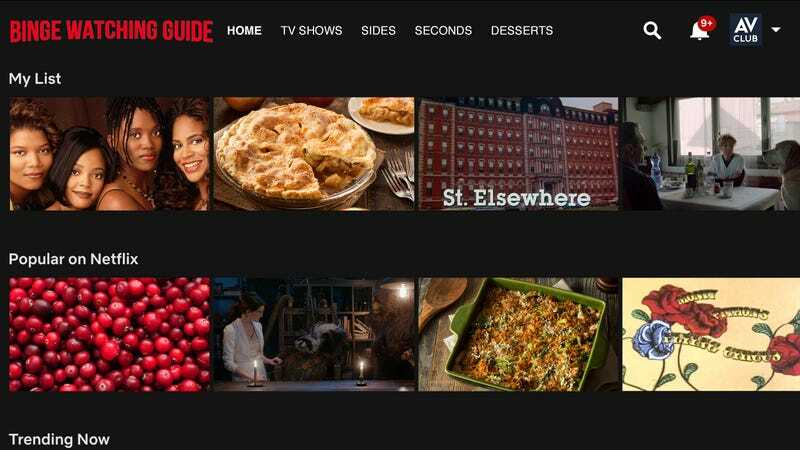 Because the parade eventually has to end, because not everyone is into football: If you’re gathering with family and/or friends to celebrate Thanksgiving this Thursday, you’re going to want to have some streaming picks in your back pocket. (And if you’re not, well, you’ve got the time to do some heavy duty viewing.) It’s a need The A.V. Club is always happy to oblige, recommending the TV equivalents of favored desserts and new additions to the same old spread. Whether you’re looking to laugh, cry, or just drown out a heated debate over brining techniques, here are 17 shows—with just under a thousand episodes—that’ll get you through the long weekend.